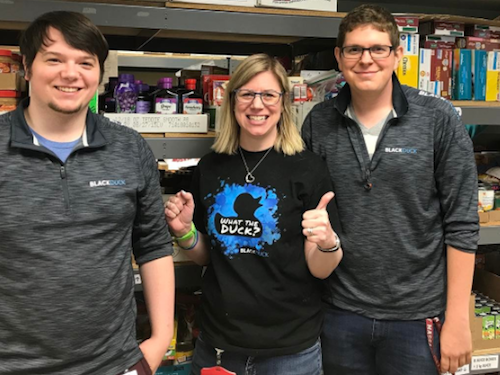 April marked the kickoff of Black Duck’s Corporate Social Responsibility program, Helping Wings. Making it part of our company culture was my first goal. 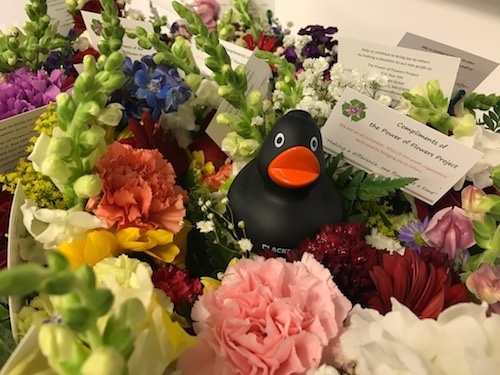 This April marked the official kickoff of Black Duck by Synopsys’ corporate social responsibility (CSR) program, Helping Wings. With over 300 employees and a distinct company culture, this was no small feat. The task at hand was how to integrate CSR into our culture naturally and not make it feel forced. The solution? Create various options and levels of participation that appeal to different groups and personalities at Synopsys. The idea was to create levels of CSR, ranging from simply donating magazines to donating time and labor to in office events for those who want to participate without leaving the office. We consider ourselves a grassroots company here in Burlington, so when looking at community service opportunities, we wanted to give back to our local community. 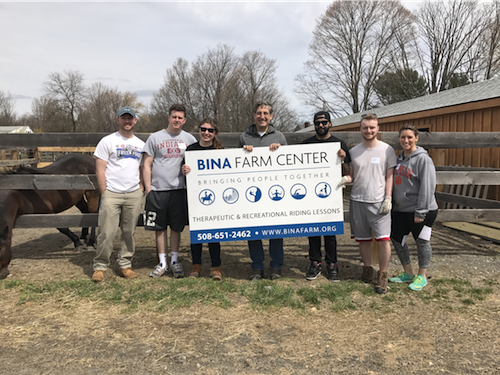 I began the April Helping Wings kickoff with two groups of volunteers at BINA Farm in Lexington, Massachusetts. 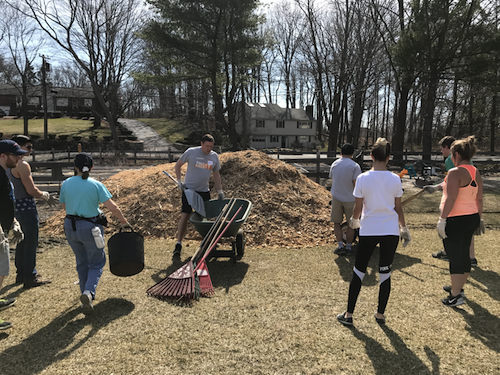 In groups of 10, we volunteered two days from 10 to 12 at the farm, spreading woodchips on their Sensory Trail and building them a “Black Duck Pond” sensory stop on their trail with materials (and 200 black ducks) donated by our company. With gorgeous weather, it was a great excuse to get out of the office and give back to a place that truly makes the impossible happen for their riders. We had such a fun time working outside and getting to meet the people and animals at BINA Farm. They have an amazing group of horses, each with their own unique story. BINA Farm was a great success and set the bar for our Burlington Food Pantry and Power of Flowers events that followed. Right down the street from our office, we had a volunteer day at the Burlington Food Pantry. Our volunteers stocked shelves and helped to unload shipments and donations. It made for a great local event, accommodating 10 volunteers, indoor volunteer opportunity and close proximity to the office. 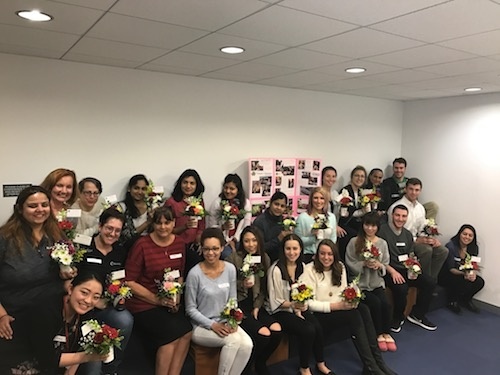 On the same day, we had a Power of Flowers event here in our office for those limited on time and unable to leave the office. This was a more crafty volunteer option. Power of Flowers came in to instruct 25 volunteers in the art of creating small bouquets using recycled or donated flowers, which were then sent to a local nursing home. It was a relaxing two hours with a fun group of people. Just working with flowers gave everyone a lift, and they were excited to be bringing smiles to the residents of the nursing home. Our Helping Wings program kickoff was a huge success, and a true reflection of the culture we pride ourselves on here at Synopsys. Our culture works around our employees, not the other way around. Each volunteer opportunity held an appeal to our diverse group of employees here. We also volunteered alongside some of our executive staff, which is something you don’t often see. Creating this program and organizing these events was an exciting project for me, and I’m so glad that we’re incorporating corporate social responsibility into the culture here at Synopsys — in our own unique way. Learn more about how we give back to local communities.